Saturday 20th September 2014 – 6.30pm – Claire Brown. A woman, who was trapped in her car undiscovered for four hours, has miraculously escaped serious injuries after she left the road and ended up hitting a tree down a steep embankment in Shropshire this morning. 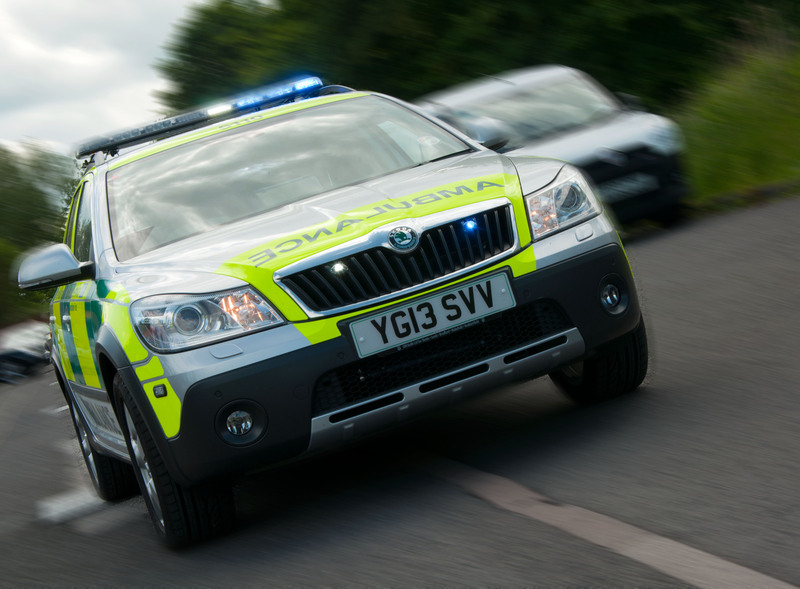 West Midlands Ambulance Service received a 999 call to reports of the incident on the A41 in Tushingham, Whitchurch at 11.30am (Saturday). An ambulance, a paramedic area support officer and the North West Air Ambulance with a doctor on board attended the scene as local air ambulances were grounded due to poor weather. A West Midlands Ambulance Service spokeswoman said: “Crews arrived to find a 21-year-old woman who was mechanically trapped by her legs in the wreckage after coming off the road at around 7.30am. Despite being trapped, the woman was in a stable condition but needed to be cut out of the wreckage which, due to the steep, treacherous location, was impossible. “The fire service therefore used specialist equipment to fully extricate the vehicle up the bank and onto road level. Ambulance staff then worked to treat and monitor the woman’s condition whilst the fire service carefully began the process of extricating her from the wreckage.